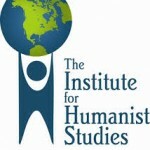 Currently basic philosophy on humanistic education is being developed. For this purpose seminars/workshops are being organized in India. If you are interested to participate in these seminars/workshops, you are welcome to contact us. The existence of life on this beautiful earth looks to be quite gloomy in future due to blatant exploitation of modern science and technologies. Hence it is essential to develop proper philosophy of science and technology such that it can auger inherent humanistic characteristics among all of us. An attempt is made to identify proper methods of finding out the basic tenats of holistic science and technology that can help us to develop better humanistic values such that we can lead a prosperous, progressive and blissful life.